The Azimut|Benetti group closes in beauty the Cannes Yachting Festival, conquering the coveted title of “Shipyard of the Year” during the World Yacht Trophies night, that traditionally concludes the French kermesse. The recognition has been awarded to the Group, which will celebrate its 50 years of activity in 2019, for its consistency in its business management, based on long-term strategies, strength and ability to always research innovative pathways. The Group comprehensively achieved five trophies: next to the most prestigious recognition there are other four. Benetti conquered the best interior design title in the segment 38 to 50 meters with its Seven, of which the interior layout of exceptional livability has been highlighted, realized in collaboration with the Londoner studio Bannenberg and Rowell Design. Azimut achieved a trophy for innovation in the 14 to 18,50 meter segment with the S6, which had its international debut at the Cannes event, as well as the best interior design with Azimut 55 Fly in the segment 14 to 18,50 meters and also with Azimut Grande 32 Meters, in the segment 24 to 38 meters. Both models bear the signature of Achille Salvagni, who confirms his stylistic figure with the interior design of these two yachts, characterized by a refined and timeless elegance, giving life to sophisticated and harmonious environments. “These prizes underline how the success of the Group is strictly connected to the strength of our products, which have distinguished themselves in all the segments and for both brands” commented Giovanni Vitelli, Vice President of the Azimut|Benetti Group. “The Shipyard of the year title arrives from the power of our products, from the solidity and consistency of our vision, as well as from the passion and energy of the people working with and for us, most of which have been beside us for many years. It is to them that I wish to dedicate this recognition”. It has been an excellent year for Azimut|Benetti Group, led by Paolo and Giovanna Vitelli, which closed the accounting period with value of production estimated at € 850 million (+18% on the previous year at constant exchange rates) and an adjusted EBITDA of € 50 million. Volumes are also up and stand at 261 new units. Against this positive backdrop, sales in the Megayacht sector represent a standout result, with 68 orders in the 24 to 40-meter segment alone, another sharp increase on last year’s figure. The strengthening of the Group’s position in this segment, confirmed by its placing at the top of the Global Order Book ranking announced last December for the 18th year running, is attributable to the commercial success of the Azimut Grande range, and the 35 and 27-meter models in particular, with 10 and 21 units sold respectively since their market debut, and of the Benetti range, which as well as boasting a full 14 yachts sold in the last six-month period, or a total of 570 linear meters (longer than five football pitches), has three Gigayachts under construction, all at an advanced stage of fitting out and one of which will be the world’s largest hybrid yet built. The main markets are the Americas, which account for 38% of sales, followed by Europe with 33%, the Middle East with 16% and Asia Pacific with 13%. In South America, the success of the Itajai shipyard in Brazil deserves a special mention, increasing its value of production by 24%, with 36 yachts built, and bucking the trend reported by many European players who have decided to abandon the country. Another source of great satisfaction is Fraser Yacht, wholly-owned by Azimut|Benetti Group after its acquisition in 2017, which reported a record year and continues to lead the world professional broker rankings for the 8th year running. During the year, Fraser sold more than 50 yachts over 24 meters, almost twice as many as most of its top ten competitors in the industry. Fraser also represented the largest yacht sold, the 106-meter ULYSSES. The Marina operations owned by the Group also reported good performance and will shortly be joined by a beautiful new arrival in La Valletta (Malta). A new company will also be established at the site under Maltese law to finance the purchase of Azimut and Benetti yachts through local leasing contracts. Another achievement worthy of mention is the slew of 17 international awards won by the Group during the year, bringing the total number of awards obtained by the two Azimut and Benetti brands over the last five-year period to more than 50. The Group has invested over €104m over the last three-year period, of which €32m in production capacity and the remaining €72m in renewing the product range. In the upcoming three-year period (2019-2021), another €122m will be invested, of which €28m in production capacity and the remaining €94m on the development of 10 Azimut Yachts and 7 Benetti models to renew the range. The achievements reported this year, and throughout the Group’s history, are the result of an enterprise approach founded on stability and driven by the farsighted vision of the ownership, which has always pursued management continuity, professionalism and profound respect for the customer as the company’s fundamental values. At the same time, with the arrival of designers who have backgrounds in industries other than yacht building, the strength and success of the product has grown exponentially, driving a constant stream of new models and new product collections. “As our fiftieth anniversary in business approaches, I am very proud of our achievements,” said Paolo Vitelli, “and now more than ever I think that the complementary nature of Azimut Yachts and Benetti is a key asset. Benetti will continue to pursue its tradition of excellence, with a management team strengthened by professionals of proven management experience and skill and multiple unique projects in the pipeline. In parallel, Azimut will continue to grow and consolidate its positioning, ensuring that the Group’s overall range continues to be the broadest and most comprehensive in the world. 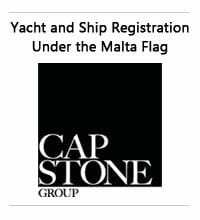 I am also delighted with the excellent performance reported by the other companies in the Group (Fraser, Lusben, Yachtique and the Marinas), which contribute to making us a uniquely distinctive player on the market”. “I think the stability we have achieved at Group level is the premise for ongoing organic growth,” confirmed Giovanna Vitelli “Our distinctiveness, the result of our courage and daring in introducing new technology and design solutions, represents the added value that the market continues to recognize in us”. The Management Board of Azimut-Benetti is thrilled to announce the internal reorganization of Benetti’s Top Management team in order to move forward along the path to growth and success with additional dynamism. Engineer Franco Fusignani, already manager of the Benetti Business Operations Line, with an attentive management of new product development, to ensuring excellence in quality and the rationalizing and efficacy of the Livorno and Viareggio sites, has been invited to Azimut-Benetti’s Board, taking on the role of CEO of the Benetti Business Line. Mr. Fusignani combines expertise in processes and in organization, earned at the head of large international groups, with great knowledge of the sector, which he has proven during the last 12 months of intense work, completely dedicated to the reorganization of Operations. In the near future, particular attention will be given to strengthening the commercial organization. Engineer Christos Ramnialis will be taking on the role of Vice President of Development of the Benetti Business Line, answering to the CEO, with the responsibility of continuing the work already in progress of opening new markets, stimulating the launch of new, innovative products, and in strengthening the Brand in order to give competition to our principal competitors in North Europe in the Mega and Giga yacht industry. His professional competency, his mid-European culture, and many years of close ties with these shipyards will be important for the development of the Benetti brand. Engineer Vincenzo Poerio, after a brilliant career of 25 years at the head of Benetti, transforming it over time with determination into one of the largest companies worldwide in the sector, has decided to take on a new entrepreneurial challenge, and will be dedicating his energy and his passion to his family farm. Mr. Poerio has always worked with generosity, and without ever putting aside the good of the company, of his own collaborators, and of the clients, and, under his guidance, Benetti has built and sent out many, stunningly beautiful ships. Paolo and Giovanna Vitelli, the Management Board and colleagues all deeply thank Vincenzo for these many, beautiful years of intense and fruitful work, and hope that he will remain close to the company for a long time to come, not just personally but also professionally, to help the Benetti Business Line and to counsel it through the new challenges which await it. The new team, which was, for the most part, grown from within, will guarantee, under the direction of Mr. Fusignani, a new cycle of development for Benetti which, already over the last nautical year, has already increased its revenue from 320 to 370 million Euros, growing an additional 16% and registering a new positive phase, as well as many large satisfactions. From the Caribbean to the Mediterranean and back, the Endless Summer Wave program is an initiative organised by Azimut Yachts to remind us that that the summer isn’t just a season, but also a state of mind. Essential ingredients are the sun, dream locations in the Caribbean and Mediterranean, a cool and sophisticated atmosphere and, naturally, yachts built by the Italian brand that are desired the world over. After Santo Domingo, Newport, Nantucket and Ocean Reef, to mention just a few of the numerous ports of call, in the second half of the year it was Azimut Yachts’ turn to be queen of the Mediterranean’s most beautiful beaches and marinas. The most recent events in July were held in some of Europe’s most exclusive resorts: Elba, Senigallia, Bodrumand Cannes. In each of these fantastic locations, Azimut Yachts owners were offered some amazing experiences, with visits on board the brand’s latest models and gala evenings of unparalleled creativity and enjoyment, not least thanks to all the programme’s high profile international partners from the worlds of haute horlogerie, prestige jewellery, fine wines, champagne and scents. The very last events before the Endless Summer Wave returns to the Caribbean are inIbiza in the Balearic Islands, Athens and Croatia, where the final party of the year will be held in Sibenik on October 10. Dunya Yachts, the eminent Turkish yacht builder responsible for the creation of the 73m Axioma (formerly Red Square), has announced the appointment of Jeremy Roche as Sales and Marketing Director. He joins the firm as Axioma makes her first appearance at the Monaco Yacht Show for four years. Jeremy's career spans more than two decades in yachting and includes seven years working as crew aboard various yachts before joining Boat International in 2002, where he remained for 13 years. He is widely known to the superyacht community, has a remarkable knowledge of the industry and, most recently, worked in a similar position for an Italian yacht builder. "I am delighted that Jeremy has joined our team," said Sedat Ergun, President of Dunya Yachts. He brings a wealth of experience, strong relationships across the industry and has a great reputation in the brokerage world. We have a number of ideas for the future growth of the shipyard and we believe Jeremys experience will be invaluable." Jeremy added: The first time I visited Axioma I was blown away: she is a truly spectacular piece of craftsmanship and rightly acknowledged as the finest quality yacht ever built in Turkey. When Sedat explained his ideas for the future, and his commitment to producing yachts of the same quality, I had no hesitation. I am thrilled to have joined such a prestigious and established shipyard and look forward to releasing more information about our future plans in due course. With Axioma on display at the Monaco show for the first time since she was sold in 2014, I am hitting the ground running. Dunya Yachts Axioma may be viewed by appointment only at berth C05 of the Monaco Yacht Show. Awards record for Ferretti Group in occasion of the World Yachts Trophies 2018, the expected appointment closing the Cannes Yachting Festival that, even this year, rewarded with 6 prizes the unique Made in Italy style and the many design and technology innovations offered on board. It is a triumphant moment for the Group that, after the success that the Festival's audience paid to its fleet of wonders, 25 models from 8 to 42 meters representing the Ferretti Yachts, Pershing, Riva and Custom Line brands, also receives the applause of the experts with some of the most coveted awards in the sector, in recognition of an aesthetics and innovation record that has now been proven. Here are the 6 Awards: - Ferretti Yachts 670: Best Layout Trophy, category 62 – 80 feet (18,50-24 metres); - Riva 66’ Ribelle: Best Exterior Design Trophy, category 62 – 80 feet (18,50-24 metres); - Custom Line 120’: Best Exterior Design Trophy, category 125 – 164 feet (38-50 metres) - Custom Line Navetta 42: Best Innovation Trophy, category 125 – 164 feet (38-50 metres) - Pershing 9X: Best Exterior Design Trophy, category 80 – 125 feet (24-38 metres) - Riva 110’ Dolce Vita: Best Exterior Design Trophy, category 80 – 125 feet (24-38 metres). “Winning is good for morals and for the method, because it repays the whole Group for the work done and tells us that we are doing things in the right way - commented the Group’s CEO Alberto Galassi. 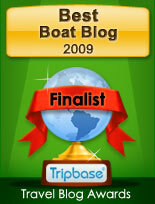 - When our boats are rewarded also by a great commercial success, as it is happening, our satisfaction is double. The challenge continues: with these awards we raise more and more the bar of beauty, style and performance that ourselves will be called to overcome with the next models. But this is the beauty of the challenge and of being Ferretti Group". For the fourth year in a row Ferretti Group and Yacht Club de Monaco gave a unique show to the yacht owners invited to the "Private Preview", the annual appointment dedicated to the presentation in absolute preview of the entire fleet of Ferretti Yachts, Pershing, Riva, Itama, CRN and Custom Line, just a few days before the world premiere at Cannes Yachting Festival 2018. This year, the exclusive performance of a music legend, Sting, made magic the evening event produced by the Group in collaboration with the Yacht Club de Monaco. "Fields of Gold" is the title of the exclusive concert that the British singer-songwriter held for selected guests in the extraordinary setting of Monte-Carlo, surrounded by a fleet of over 30 vessels representing all the Group's brands. The star enchanted the audience playing a lineup of incredible hits from his extraordinary solo career and from the repertoire of his historic band, the Police. The audience got excited about the seductive notes of "Roxanne", the melody of the timeless "Every breath you take", and of real cults like "If I ever lose my faith in you", "Message in a bottle", of the melancholic "Fragile" and of the famous "Fields of gold". Gulf Craft's superyacht the Majesty 140 wins the prestigious award for 'Best Yacht Layout' at the 17th edition of the coveted World Yacht Trophies. Competing with superyachts from leading top European yacht manufacturers, the Majesty 140 made her global debut at Dubai International Boat Show this year. One of the sought-after awards in the yachting sector, the famous World Yachts Trophies is held every year during the Cannes Yachting Festival. 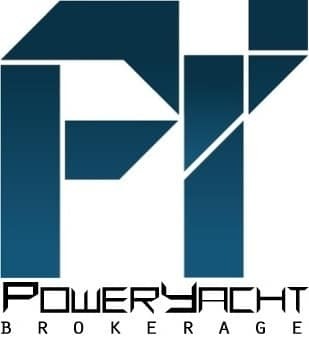 Organized by Yachts France, the entries were judged by a panel of experts made up of highly qualified members belonging to the steering committee of the publishing network. The panel was entrusted with the task of selecting and evaluating the boats and the winners for each category. A masterpiece created by Gulf Craft’s very own Design Studio, the Majesty 140 sets new standards in on-board space and entertainment features. In a class of its own, the luxurious tri-deck superyacht boasts a Gross Tonnage of 360 tons and features 6 staterooms with the option to increase up to 7 staterooms. The elegant 140-foot superyacht's extensive glass side windows allow plenty of sunlight inside and give the guests stunning panoramic views of the seascape around. Recently, the first hull renamed as C'est La Vie, which translates as "This is Life" was delivered to her owner. The Majesty 140 is the successor of the other award winning superyacht, Majesty 135. Notis Meneloau, VP of Sales and Mahmoud Itani, Marketing and Communications Manager received the prestigious award during the glittering ceremony that took place on Saturday, September 15, 2018 at the Intercontinental Carlton Hotel, Cannes. The invitation-only night is a great bonding evening for yachting professionals, owners, shipyards and media to meet and reward the best innovations of the luxury nautical industry of last season. Over 300 guests attended this exclusive cocktail gala night comprising a prestige dinner, yacht parade, awards ceremony, fireworks and party. Dutch shipyard Moonen Yachts is proud to welcome three new experienced team members to their innovative new Marketing and Sales Department; Marianne Hendriks as Marketing Communications Manager, Maarten Hogeweg as Brand Ambassador, and Sytse de Vlas as Sales Manager. The Moonen team is excited to announce three new team members to the Moonen Yachts family. Each joining the company following varied roles in the maritime business, Marianne Hendriks joins as Marketing Communications Manager, Maarten Hogeweg joins as Brand Ambassador, and Sytse de Vlas joins as Sales Manager. The new appointments are in line with the new company strategy, which sees the premium Dutch yard focus on expanding the reach of Moonen worldwide. Pearl Yachts is product to announce the new Pearl 95 won the “BEST LAYOUT” in the 80' to 125' range. Organised by French magazine Yachts France in the framework of the 2018 Cannes Yachting Festival, the World Yachts Trophies are considered among the most prestigious awards in the industry. The award ceremony was held on Saturday, September 15, against the magnificent backdrop of the Carlton Hotel in Cannes. Pursuit Boats awarded top domestic, international dealers and salespeople during their annual dealer conference in Sarasota, Florida. Prior to the Awards Ceremony, Pursuit hosted a Casino for Charity night to raise money for a worthy cause, matching any of the monies raised during the evening. $10,000 was raised for The Florida Fishing Academy which aims to positively influence South Florida at-risk youth through fishing and recreation. “Celebrating the hard work and accomplishments of our valued dealer network is something we look forward to every year. We take the opportunity to strategize and strengthen our mutual business interests in person. This year, the event also gave us the opportunity to raise money for great charity,” Bruce Thompson, President. Top honors for the number one Pursuit dealer went to Walker Marine Group, located in Marco Island, Florida. Jim and Christine Walker, owners, were on hand to accept the honor. Australia's premium luxury motor yacht builder, Riviera, has continued to grow its presence in the Mediterranean region with the appointment of Perfomax Marine to represent the Riviera and Belize marques in Turkey. Perfomax Marine was founded in 2006 by experienced marine specialist Sertan Untut, initially to offer superyacht charter and brokerage services. "Riviera and Belize motor yachts are perfectly suited to the needs of our clients who enjoy both cruising and fishing in the many seas and waterways around Turkey," said Mr Untut. Turkey's coastlines include the Black Sea to the north, the Mediterranean and the Sea of Marmara. Riviera CEO Wes Moxey said the appointment of Perfomax Marine will be warmly welcomed by current owners of luxury Riviera and Belize motor yachts throughout Turkey. “Turkey has a rich history of enjoying the luxury motor yacht lifestyle," said Mr Moxey. "Our world-renowned quality, luxury, innovation, blue-water sea-keeping abilities and superior owner support will be further enhanced in Turkey with the appointment of Mr Untut and his team." Mr Moxey said Perfomax Marine will provide additional support, assistance and social events to the growing number of Riviera owners in the region and to those aspiring to explore idyllic destinations throughout the many waterways around Turkey. Mr Untut said: "Riviera has a strong reputation and a significant number of owners in Turkey. Perfomax Marine will provide a powerful capability to welcome new Riviera and Belize owners." Mr Untut said the relationship with Riviera began when a client asked for a specific style of motor yacht. "My research led to Riviera," he said "I visited the facility on the Gold Coast, Australia twice over a seven month period. During both visits, I was deeply impressed both by the quality of motor yachts and the diverse designs that Riviera and Belize offer and immediately then began discussions about representing the company in Turkey. "The Riviera 43 Open Flybridge was the perfect solution for our client. We have since committed to introducing a 52 Enclosed Flybridge and a 4800 Sport Yacht to our market." Mr Untut said he was very impressed with the focus on quality demonstrated by the team in Coomera. "I owned a shipyard in Turkey for many years," he said. 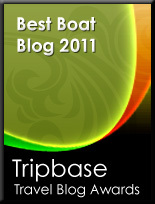 "That experience has given me a strong insight into the demands of high quality boat-building. "Perfomax Marine is also dedicated to customer service and we take great pride in our client relationships. We want our clients to return year after year, which is a core ideal of Riviera. So this is the foundation of our business and a powerful complement to Riviera's great focus on its yacht owners around the world." Australia's premium luxury motor yacht builder, Riviera, is proud to announce the continued growth of the company's international representation with the appointment of Yachting Spain based in Malaga on the Mediterranean coast. Riviera's International Sales Director, Chris McCafferty, said Yachting Spain will add great strength and support to the company's presence in western Europe and throughout the Mediterranean region. Yachting Spain Principal Dimitri Feytit De Haro said: "Since we launched the business in 1998 we have focused on the cruising and fishing markets. Riviera fulfils both of these interests perfectly. "I am particularly impressed by the interior design and fit out of Riviera motor yachts," he said. "They reflect a quality European style that will certainly appeal to our boating enthusiasts. "Yachting Spain's motto is 'Our passion is our business'. Our entire team loves boating so we fully understand our clients' passion and that of the Riviera Australia team. "I have actively worked towards joining the Riviera European network for many years. In fact, I have personally owned a Riviera 47 Open Flybridge for the past four years and am just so impressed with the Riviera blue-water performance and outstanding build quality. "We have a new 45 Open Flybridge in build now and already have strong interest in this new motor yacht from experienced boaters in our market looking for a premium luxury motor yacht with real offshore pedigree. "I believe that working together with Riviera we both can continue to grow the profile of the motor yachts in this region." Riviera CEO Wes Moxey said the appointment of Yachting Spain will be warmly welcomed by current owners of luxury Riviera motor yachts throughout Spain. “There are already many proud Riviera owners in Spain who just love their yachts. Our internationally-renowned quality, luxury, innovation, blue-water sea-keeping abilities and owner support will be further enhanced in Spain with the appointment of Mr Feytit De Haro and his experienced team." Mr Feytit De Haro said Yachting Spain is looking forward to providing high level support, assistance and creating unique social events to the growing number of Riviera owners throughout the western Mediterranean. Yachting Spain will represent Riviera at the Salon Nautico Barcelona International Boat Show in October. Sanlorenzo, among the world’s leading yacht and superyacht manufacturers, is honored to participate as a sponsor to the Celebrity Fight Night in Italy, one of the most important charity events in the world, created in the USA and brought to Italy by Andrea Bocelli Foundation, with the aim to raise money for the fight against Parkinson’s, which is took place from the fifth to the 9th of September. An exclusive program of charity events organised between Florence, Porto Venere and Verona which will see the participation of international stars and renowned guests. The shipyard, absolute excellence in the sector, will provide 7 Sanlorenzo yachts to offer the guests a unique experience, accompanying them from Viareggio to Porto Venere. Among the most renowned in the world, Sanlorenzo yachts have always been characterised by refined luxury, timeless elegance, tailored approach and attention to design: tailor-made boats to satisfy every request of the owner, decorated with products representing the Italian design excellence. In Porto Venere the guests will have the chance to take part into an unforgettable evening animated by live performances by Andrea Bocelli, Josh Groban, with the choir Voices of Haiti and Excellence orchestra, in the picturesque setting of the square at the foot of the Church of Saint Peter. The 40 Open Sunreef Power Diamond Limited Edition has been recognized as Best Power Driven Catamaran at the prestigious World Yachts Trophies gala. Rewarding the best and most innovative yachts worldwide, the ceremony has gathered top industry professionals on the Beach of the Intercontinental Carlton Cannes on the 15th of September. The award was received on stage by company Founder and President Francis Lapp, Nicolas Lapp – Head of Sunreef Yachts Design Office, Paulina Zelobowska and Karolina Paszkiewicz from Sales and Marketing Departments. In a truly momentous step, Sunseeker International has announced plans to move into the world of metal-built yachts as it looks to capitalize on its success in the superyacht market and the demand it sees from owners for even larger Sunseeker vessels. This exciting development will see the British brand partner with renowned Dutch builders, Icon Yachts, to produce a new 49-metre yacht, the first of which will launch in 2021. This new venture moves the brand into a completely different method of build for the first time in its 50-year history, but the idea behind this move is certainly not a recent one as Sunseeker International Sales Director, Sean Robertson explains: “We have wanted to build larger vessels for some time; we know there is demand there for larger Sunseeker yachts as the 155 Yacht proved. The decision to stop building that model was a commercial one based on space and capacity and certainly not due to lack of demand, so we knew we needed to rethink our approach to this size of vessel and have spent considerable time looking at various opportunities. “A move into metal also means there is no ceiling as to how big we can go in the future, but obviously this requires different expertise and so it was essential to find the right partner to support the project. Finding experience and expertise in metal build was not the issue. Finding a yard that shared the same progressive, innovative spirit to create something truly special and, most importantly, one which will provide us with the flexibility to build a true Sunseeker was the challenge. We have certainly found all of that with Icon.” Icon Yachts was founded in late 2005 by Ton Van Dam and a group of investors. The founders were then joined by business partners, including the company's current Chief Executive Officer, Jen Wartena. Rather than building unique, one-off custom superyachts that would require three or more years to design and construct, Icon Yachts developed a groundbreaking ‘blueprint’ hull which allows owners to fully customize their yachts from the waterline up. ICON has more than delivered on this concept, producing several superyachts to date within exceptionally short build times, and in the two-year range. In addition, Icon is dedicated to maintaining one of the greenest shipyards in the yachting industry, outfitting each yacht it builds with equipment to help reduce her environmental impact. Jen Wartena, CEO of Icon Yachts, comments: “There is a great synergy between Icon and Sunseeker because we are combining both of our strengths; our capacity and metal yacht building capabilities with Sunseeker’s sales expertise and marketing power. I am confident about the partnership because for the past few years there has been a high demand for Dutch pedigree yachts in this size range. We believe the Sunseeker by Icon will revolutionize the industry in a positive way. It is an exciting period for Icon Yachts and this new partnership with Sunseeker is part of our ongoing growth strategy where we are investing heavily in facilities and people to improve our capability and capacity.” The new yacht will be built in the Icon yard in the Netherlands using a proven fast displacement hull design, but the naval architecture, design and engineering will be unmistakably Sunseeker. Sean Robertson explains: “This will certainly not be a badge engineering exercise. We are an established superyacht brand in our own right and so we are merely combining the metal build expertise of Icon with our design DNA, technical expertise and market know-how. She will absolutely be a Sunseeker.” Sunseeker’s first foray into the superyacht market came with the introduction of the now iconic 105 Yacht in 2001. Since then, Britain’s biggest boat builder has seen unprecedented growth in the sector, delivering more than 125 yachts over 100 feet and firmly placing the Poole-based builder in the top three superyacht builders in the world. This new partnership with Icon is the next stage in that remarkable growth story and will be marketed and sold by Sunseeker under the “Sunseeker by Icon” nomenclature. The new 49m tri-deck yacht follows the iconic Sunseeker exterior lines and offers exceptional space and volume, with an interior that can be styled to each owner’s unique taste via Sunseeker’s unique ‘Bespoke’ service. The theme throughout is one of space and flexibility, maximizing volume and providing compelling features to enhance enjoyment on board. Many of these features are usually only associated with much larger craft including the plunge pool on the main deck and the exceptional beach club with drop down bulwarks and transom to create an incredible space for relaxing or entertaining close to the water. Standard guest configuration is for 10 guests in five cabins, with scope for up to 12 to be accommodated depending upon layout chosen and hull #1 is due for launch in Spring 2021. It's been a busy mid September week for the Viking Yacht Company. with its team welcoming the world's best dealer network as well as customers and vendors to the annual Viking Dealer Meeting, Sea Trial Event and Gala Dinner based in Atlantic City, New Jersey. After a friendly welcome dinner Monday night, Tuesday started early as Viking President and CEO Patrick Healey kicked off the meeting with his forecast of the upcoming year, which included new product introductions and design and engineering developments. A host of speakers, including Bob Healey, Jr., and Bob Healey, Sr., spoke to the packed room. After the classroom portion of the day, it was time to get hands-on knowledge with sea trials of the new 58 Convertible. The pea-soup-thick fog couldn't hold this baby back as accolades were heard up and down the dock. The weather didn't hamper the amazing cocktail party with well over 200 people taking part in wonderful company and a succulent seafood bar. The ballroom dinner was a festive event that topped off the day. Docks were busy both Wednesday and Thursday with sea trials for eager customers and industry media. Plenty of Viking management and staff, including Sean and Justin Healey, were on hand to field questions and discuss the various features of each model. By day's end it was unanimous that everyone's experience was completed with a satisfied smile. Bluewater Yacht Sales, Biking dealer in the southern Mid-Atlantic region, unfortunately canceled their trip to Atlantic City so they could help secure their homes, families and facilities as well as assist their customers in preparation for Hurricane Florence. Viking is thinking of Bluewater, their customers and all the builders family in the hurricane's path and stand ready to assist no matter the outcome. In Turkey, Bluefin a Viking 55 Convertible, claimed the biggest catch at the recent Tuna Masters Teos. The crew landed a whopper of a blue fin tuna that tipped the scales at 420 pounds. Congratulations to the team as well as Murat Iyriboz and his staff at Fortuna Yachting, Viking authorized Dealer in Turkey.